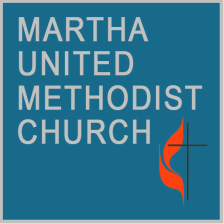 ﻿﻿The Martha United Methodist Church is a local sponsor of the Summer Food Service Program in our area. It is run in cooperation with the PA Dept of Education and aims to feed children during the summer that qualify for free or reduced lunches during the school year and often go hungry during summer break. It is open to all children 18 years and younger. With the help of more than 20 volunteers we serve nourishing meals prepared by the Moshannon Valley YMCA consisting of an entree of protein and grain, vegetables, fruit and milk. 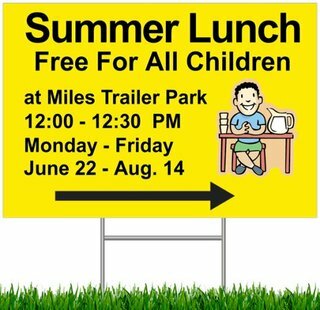 Meals are served weekdays from early June through late August at Miles Trailer Park, where space is graciously donated to serve as storage and serving areas. Picnic tables protected by canopies serve as dining space. If you would like to help make a difference in children's lives, please volunteer by contacting us by phone at 692-8309, by email at umcmartha@yahoo.com, or by clicking the "Contact Us" button below. We attempt to keep the schedule to just one lunch per week per volunteer. A child abuse clearance is needed to be a volunteer and we can guide you through that process. There are also daily activities provided for the children at the Trailer Park location as well as free books that are from the culling of the school library.